What would he be doing if he were still alive? That’s a question I often think about. Nearly 20 years ago, my older brother, Alan, lost his life in a car accident at the age of 18. I find myself musing about whether he would be a lawyer advocating for people’s rights, following in our father’s footsteps. Maybe he’d be a businessman, leading a new startup. Or, if his teenage dream would have come true, Alan would be a sports agent like the lead character in his favorite movie, “Jerry Maguire.” He could recite every line from beginning to end and would jokingly say, “Show me the money!” He also dreamed of one day marrying Renée Zellweger. The possibilities seem endless because I know that whatever Alan would have done with his life, he would have done it big. He would have worked hard to make it happen, he would have never given up and he would have been successful. My family and I wanted to make sure that Alan’s passion and potential would live on in young people who shared his ambition and resilience. To do this, we started the Alan Epstein “Reach for the Stars” Scholarship at The Miami Foundation. The scholarship has allowed us to help incredibly gifted and deserving students by alleviating some of the financial burdens of college. Now, these students, so many of whom remind me of my big brother, may truly reach for the stars and achieve their dreams. Pictured above: a plaque at Palmetto High School honoring Alan Epstein. Each of the recipients has a story. Last year, one recipient, although legally blind, was a Silver Knight nominee in dance. We have a recipient with a rare pancreatic condition who, despite enduring countless surgeries and extended absences from school, is on his way to fulfilling his dream of becoming a doctor and helping others. And several individuals, whose families immigrated to Miami not knowing a word English, have overcome these hardships, excelled in school and started a new life. Despite different backgrounds, their stories are all marked by one profound characteristic: no matter how much pushback they had, no matter how many times they got knocked down and no matter how many hardships they faced, they got back up. They used their obstacles to motivate themselves, to achieve the goals they set and to make the world a better place. Alan believed wholeheartedly that what really defines a person is whether you believe in yourself and do everything in your power to make your dreams a reality. I recently had the opportunity to go back to my alma mater, Miami Palmetto Senior High School, and speak with students interested in applying for scholarships. 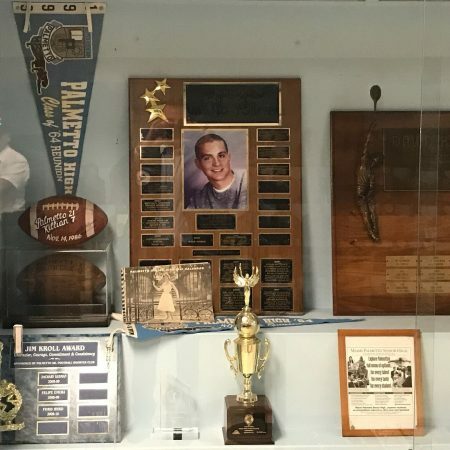 As I walked through the halls that my brother, sister and I once did almost two decades ago, I stopped at the trophy case near the school’s entrance and began to reminisce. I stared at the large Reach for the Stars plaque with Alan’s senior yearbook picture and the names of all the scholarship recipients over the years proudly on display. 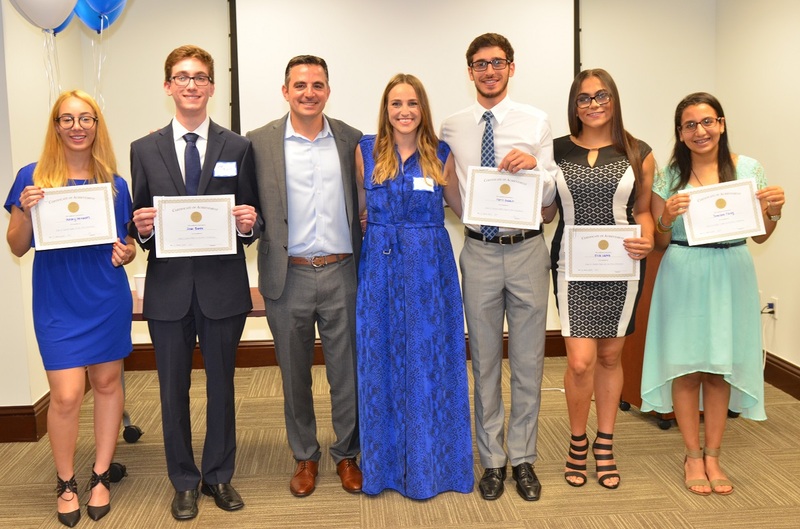 Since starting the scholarship in 1998, we have awarded more than $250,000 to nearly 200 high school seniors in South Florida. As I stood there, I thought about how much I miss my brother and my parents, Murray and Cheryl, both of whom were also taken from us by leukemia and breast cancer. All three of them had charisma and an infectious energy and, if you are lucky enough to have known them, chances are they’ve had a big impact on your life. I thought about how proud they would have been of my sister and me, and the families we’ve started. And, I thought about how lucky I am to be part of this family. I am proud of the scholarship program we have built, turning our tragedy into others’ transformations. Alan’s and my parents’ legacies are brighter than ever before. Well after their passing – and for countless years to come – they will inspire young students, give them confidence that the struggles they’ve endured will only make them stronger and encourage them to always Reach for the Stars! Michael Epstein, Esq., is vice president, estate administrator at Northern Trust.